Harold Thomas Morgan lived at Sogenhoe Street, Arncliffe. Harold Thomas Morgan was a prominent city solicitor; his firm Harold T Morgan & Sons was based in Ocean House, 34 Martin Place, Sydney. He formed the Bridge Theatre Company with Harry Clay and Archibald R Abbott in 1912 and continued representing the Clay family after Harry Clay’s death. Morgan was a justice of the peace (JP) – Notary Public, Commissioner for Affidavits. 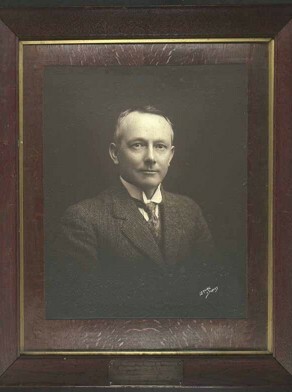 Harold Morgan ran for the Newtown seat in 1904 and 1907 as a Liberal and Civic Reform candidate. Harold Morgan was an alderman on Newtown Council in 1891-1928, representing Camden Ward. He was mayor in 1895, 1902 and 1907. He was responsible for the conversion of the gas lighting on Newtown streets to electricity, which came into operation on 31 December 1910.